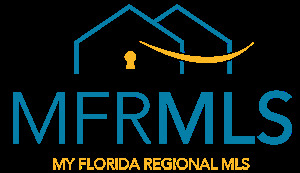 Hernando County is often known for reasonable living at reasonable prices. Most luxury real estate agents work further south, in the urban streets of still-growing Tampa, or on the gleaming beaches of Clearwater and St. Petersburg. What kind of opulence can you find in our quiet, humble county that compares with those kinds of places? You might find the answer surprising! We've put together a list of 10 of the most exorbitant listings for sale right here in Hernando County. Want to see how the other side really lives? Check out these gorgeous homes, and find out just how much a few million dollars will get you here! This luxurious waterfront estate sits on over 23 acres, and is a steal at just under $5 million - it even has enough room to park your helicopter out front! In addition to the main residence, it also includes, "a private boat house, a bridge which leads to an island boasting a private boat dock and an inviting fire pit, as well as a historical guest house and double (lighted) tennis courts all amid the beautiful coastal wilderness." A rare opportunity! This 220 acre ranch is currently on the market for just under $4.5 million dollars. Located out in Brooksville's Mondon Hill area, this ranch has been owned by the same family for nearly 50 years. It includes a private dock onto Bystre Lake, as well as the beautiful custom-built residence. Equestrians will drool over this beautiful property. At just under $2.6 million, it offers over 200 acres of pasture, plus 16 paddocks, a 21 stable horse barn with living quarters, 3 stable barn with broodmare stall, and a large rodeo arena. With 3 separate homes plus the potential of hay income, this could be a worthy investment for the right buyer! This sprawling, 60 acre country estate has something to offer even those with the most discerning of tastes! The main house boasts 2 stories, 3 master suites, 3 fireplaces, and 3 separate brick patios. Don't forget about the guest cottage, party barn, putting green, and the huge lagoon-style pool, complete with outdoor bar, water slide, waterfall, and hidden grotto! It could be yours for $2.15 million! A gorgeous, 2 story, pillared mansion sits on this legacy 30 acre property. It includes features like a game room, a theater room, a private guest suite, an outdoor kitchen, and more for $1,975,000. Ever wanted to be a cowboy or cowgirl growing up? Here's your chance with this 71 acre working cattle ranch for $1,899,900! Work hard by caring for the 35 – 45 head of cattle. Play hard in the 4 bed, 5 bath main residence; 2 master suites with luxury baths, plus an enclosed pool area with custom waterfall! Dreaming about an oceanside retreat? Find it in this 5 acre Gulf-front family retreat for $1,850,000. It offers over 600 ft of waterfront property, 2 beautiful homes with expansive decks for gorgeous views, as well as "a fire pit for evening gatherings, boat launch perfect for an airboat, a screened gazebo for the ultimate in sunset viewings..." and more! This custom Greek revival ranch style abode sits on 10 rolling acres and offers "very upgrade you would want from the foundation up" for $1,299,000. It boasts features like a gourmet kitchen, 2 tankless water heaters, plantation shutters, a central vacuum, a gorgeous open pool, and scattered grandfather oaks on the fully fenced property for just under $1.3 million dollars. Quiet and private, this custom-built executive home is going for $1.1 million in Spring Lake. The main house is a beautiful 2 story home with a brick facade and a pool; it sits on 40 acres with a separate, income-producing apartment. Airbnb, anyone? Grapefruit and lime trees dot the acreage, and it's a gorgeous place to watch for deer and wild turkeys! "Every luxury appointment desired tucked away in the woods" is what this lovely 4 bedroom + bonus room home offers for $995,000. It boasts "Brazilian Cherry floors, and tumbled travertine, gourmet kitchen with double oven, wine fridge, two sinks, large Island, soft close drawers" and a whole lot more, tucked away from the main road for peace and privacy. Looking for something a bit more modest? We can help with that, too. Click below to search for homes in the price range you choose.